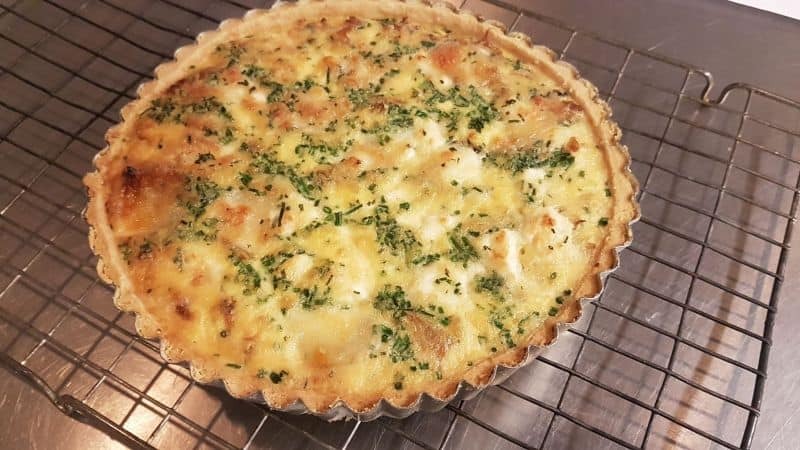 Quiche is a savory open flan made of pastry crust filled with eggs, milk or cream, and cheese, meat, seafood or vegetables. 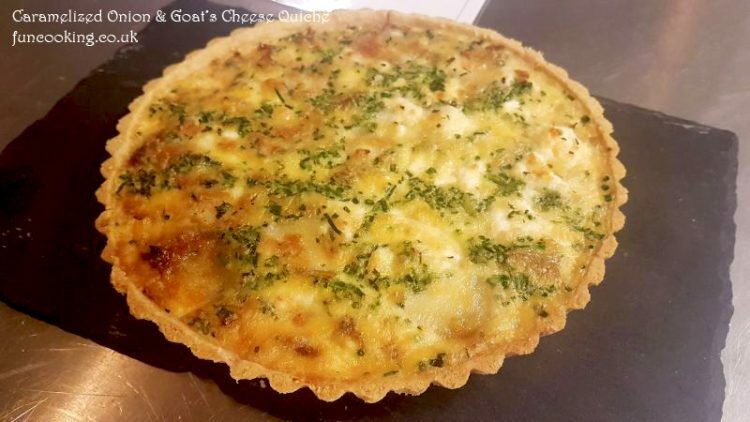 Quiche can be served hot or cold. It is part of French cuisine but is also popular in other countries, particularly as party food. 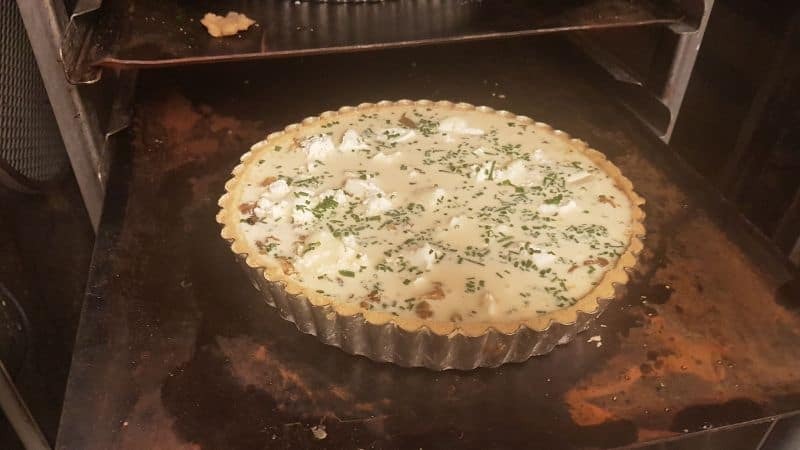 I am making Caramelized onion goat’s cheese quiche with chives. 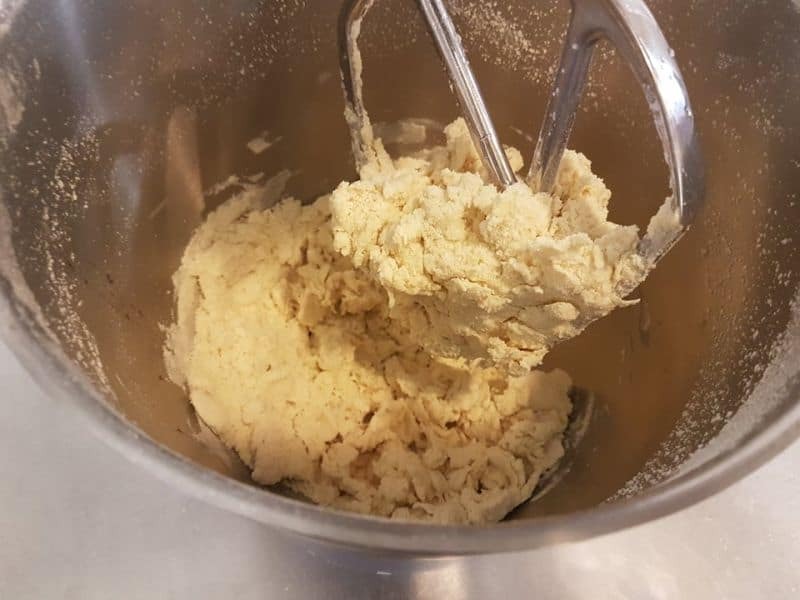 For savory short crust fat is always half the amount of flour. 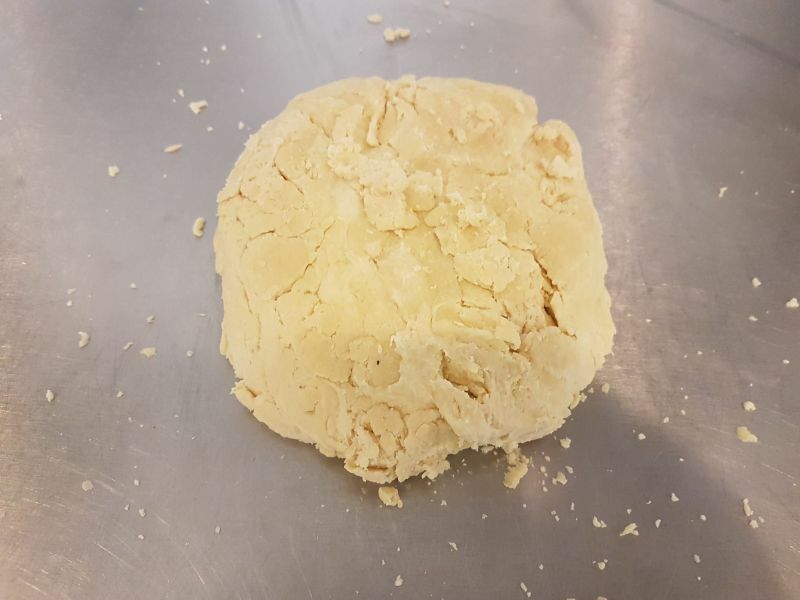 You should rest the pastry for 20 minutes in the fridge before rolling it, also rest it 10 minutes in freezer before baking. 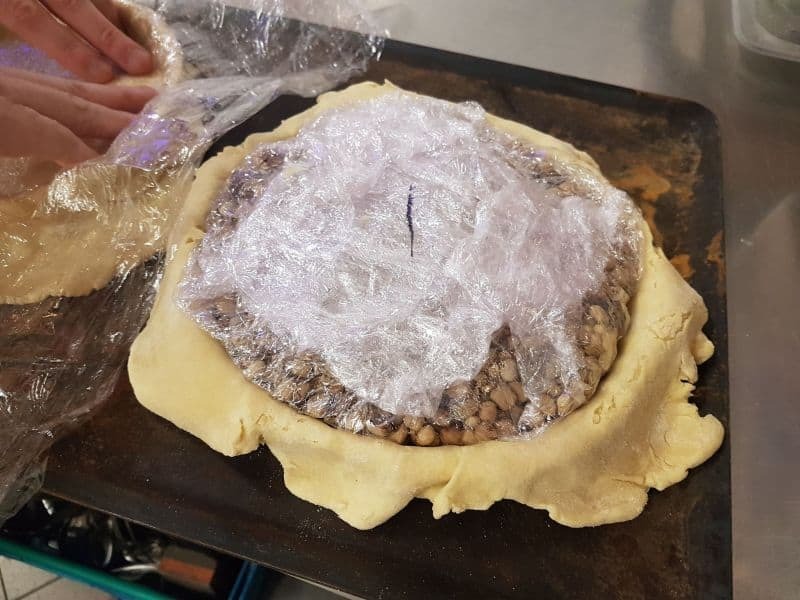 In blind baking beans should be on top of the tart , this way it will bake properly. You can use any flavoring in royale like mustard, paprika, salt, pepper. 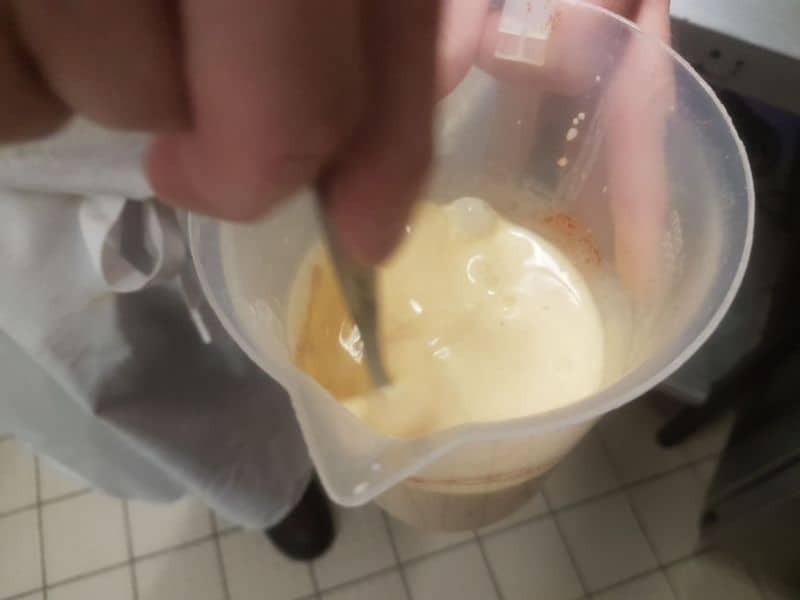 When filling the pastry with royale, make sure it will not come out of it. 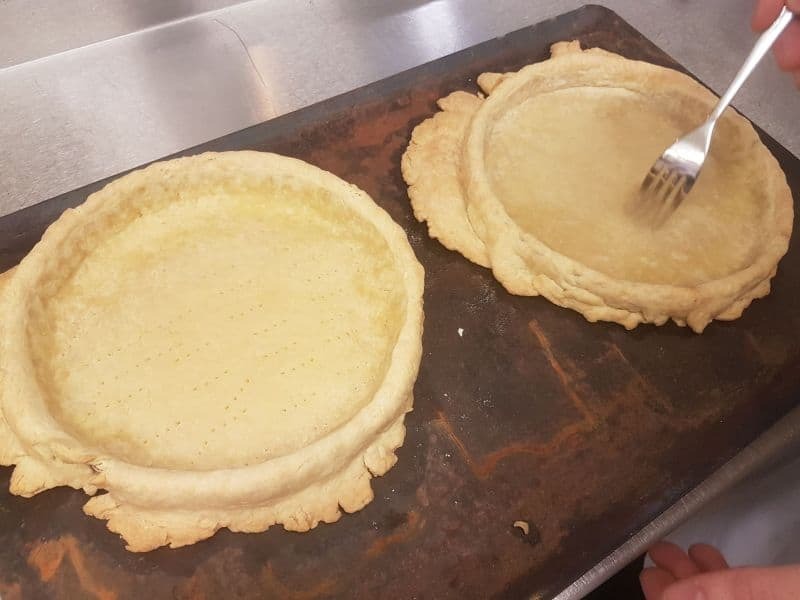 It should be just on the level of the pastry. 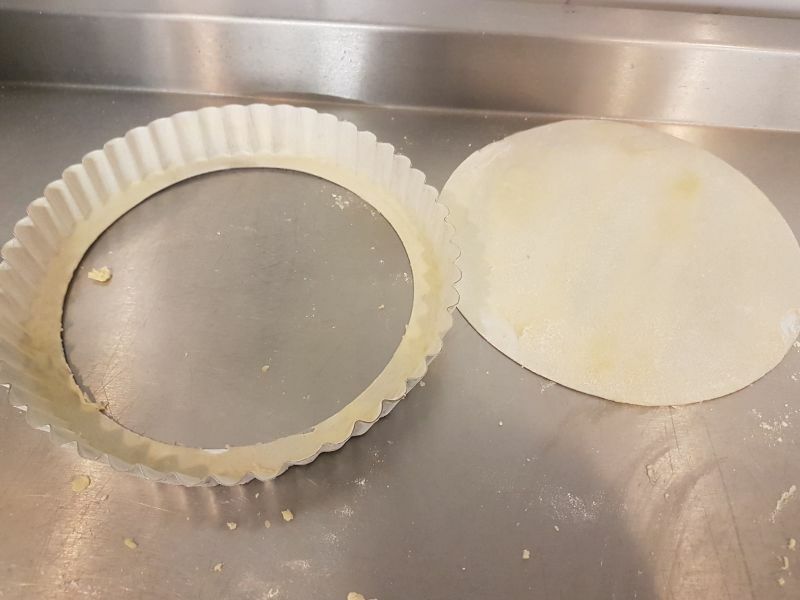 If it came out, it will stick your pastry with the pastry case as a glue. That will get you in trouble when you take out the pastry from the pastry case. 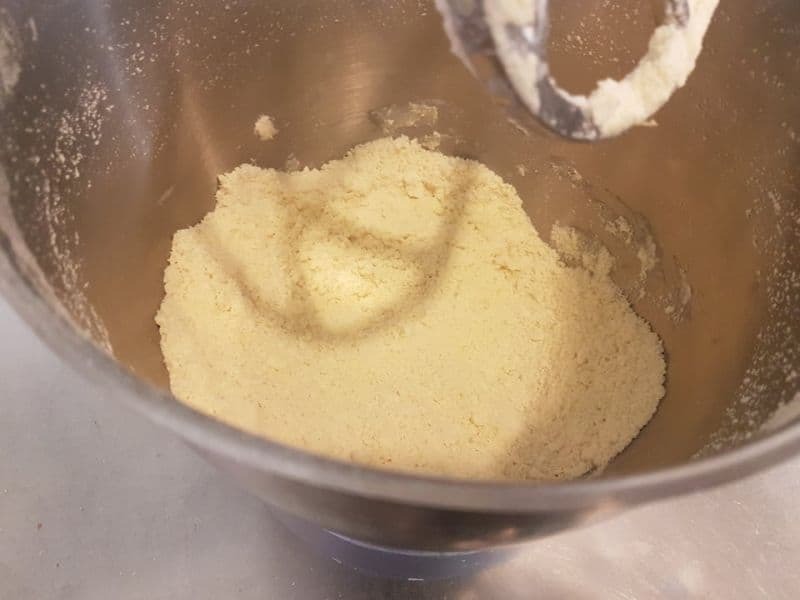 Cut the fat into cubes and rub into flour until crumb stage. Rest in the fridge for 20 minutes before use or freeze in batches. 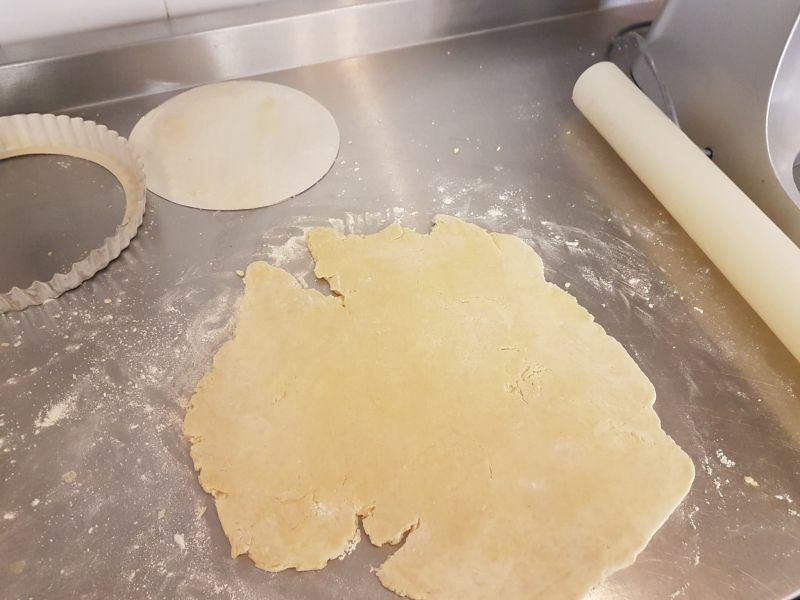 Now use half of it , roll and cover a 20 inch pastry case with it. 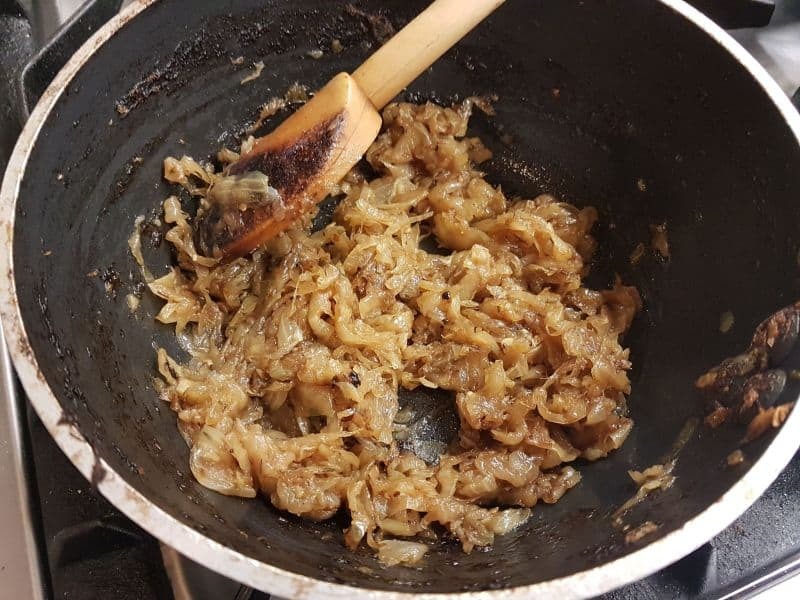 Now for caramelized onions filling, cut onions in fine slices, make paste of garlic. 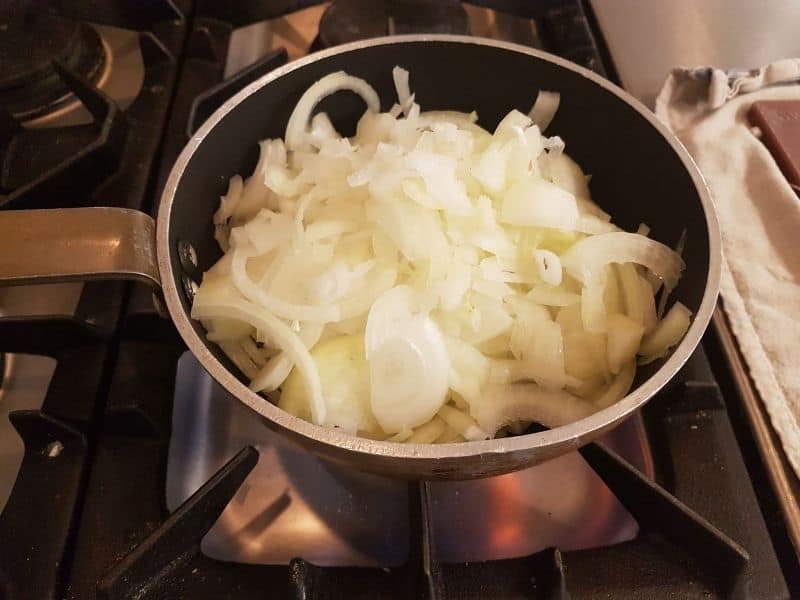 Heat 1 tbsp oil in a pan, add in onions, salt ,pepper cook on medium heat for 10 minutes. 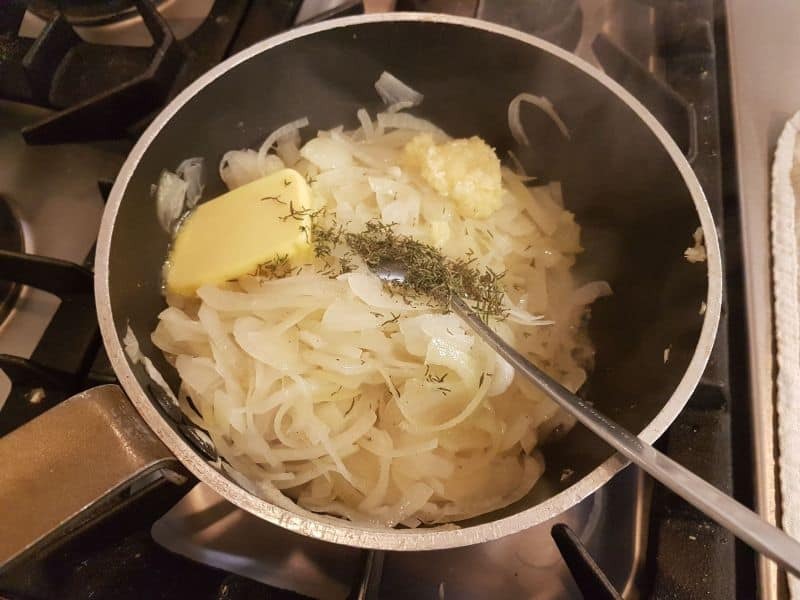 Now add butter, thyme, garlic paste, keep cooking on low heat until light brown. 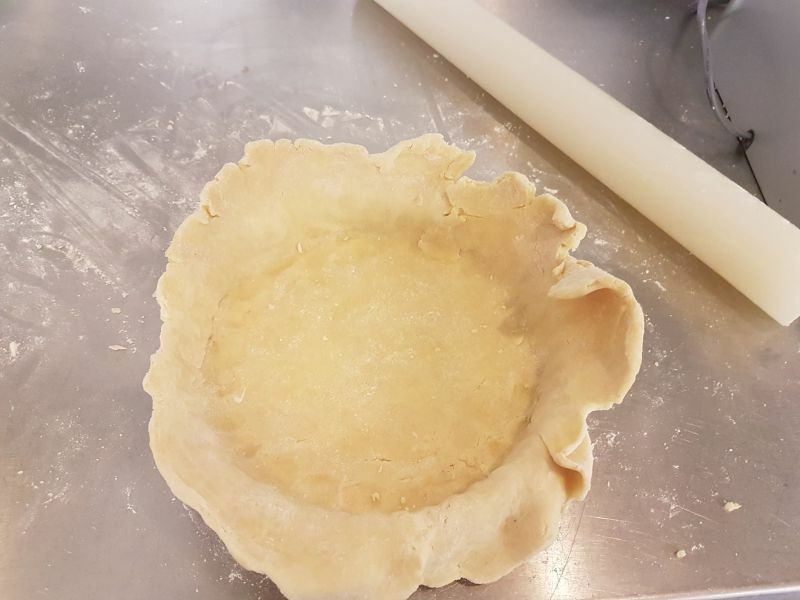 Let it cool then fill the cooked pastry with it. Place goat’s cheese on top of it. Beat together the ingredients of royale. 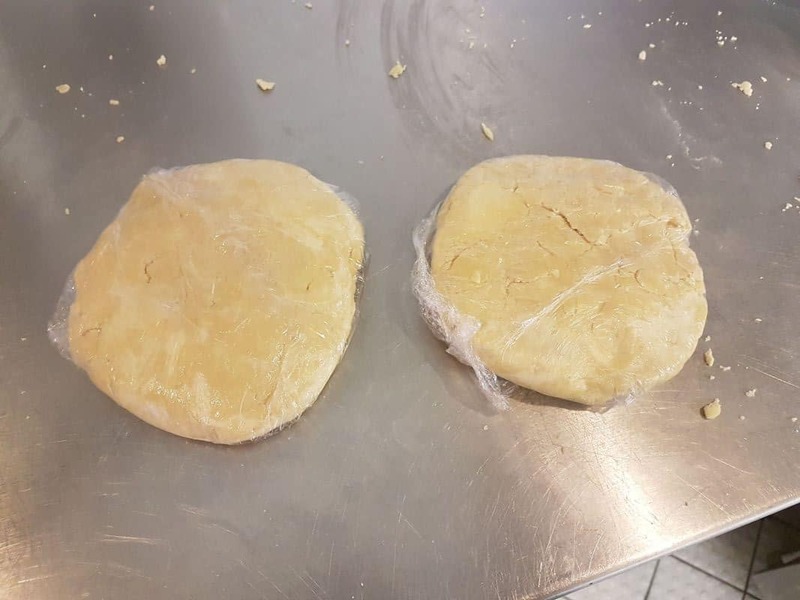 Keep the filled pastry in oven and pour half royale in it. Do not let the royale come out of the tart. Now bake again at 175 C for 9-12 minutes or until light gold from top. 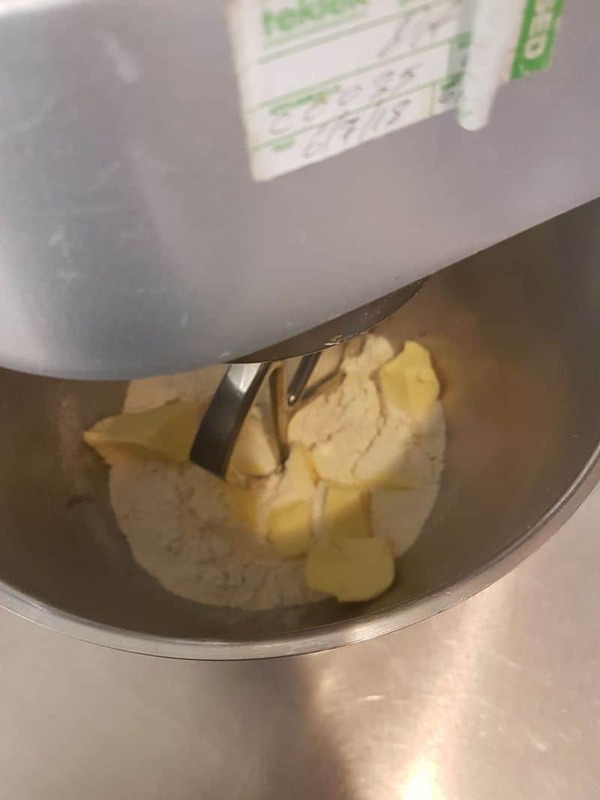 Put sifted flour, salt and cubed butter in a stand mixer bowl. 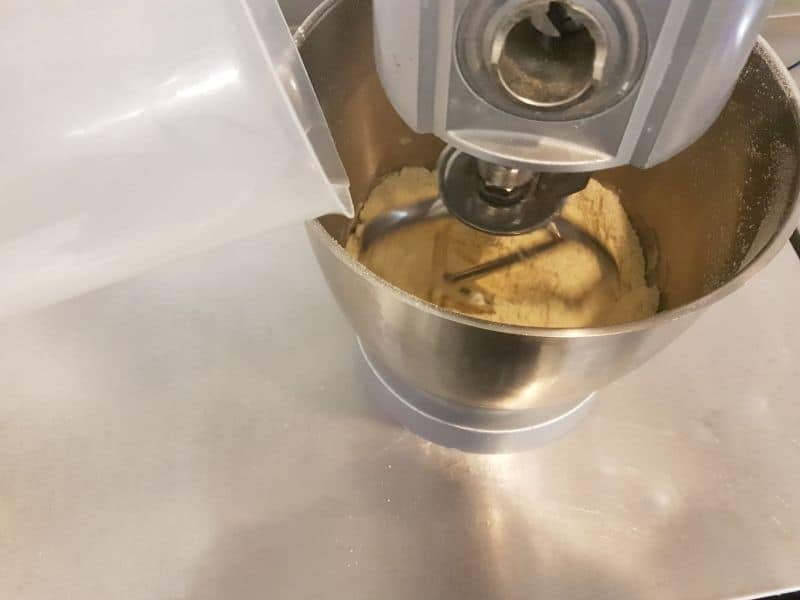 Run the mixer until fine crumbs. Now add water and run it slowly. Run the mixer until every thing combines together. Do not over mix. Take out on a flat surface and combine together with light hands like a ball. Cut it into pieces and cover with cling film. Keep in fridge for 20 minutes. Butter and flour a loose base pastry tin. 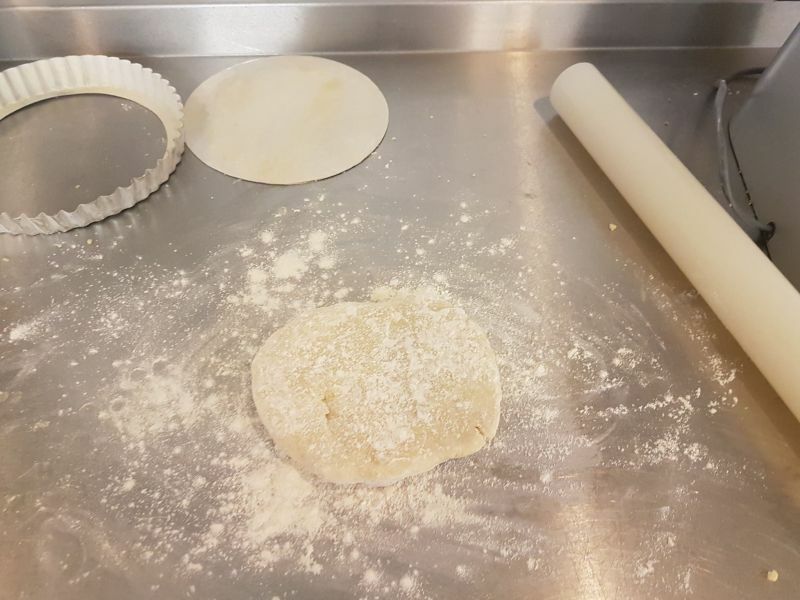 With the help of dry flour roll pastry. Try to roll it thin. Keep it in the tin and press the edges nicely. Place 3 layers of cling film in it. Put baking beans in it. Cover the cling film nicely and bake for 25-30 minutes. 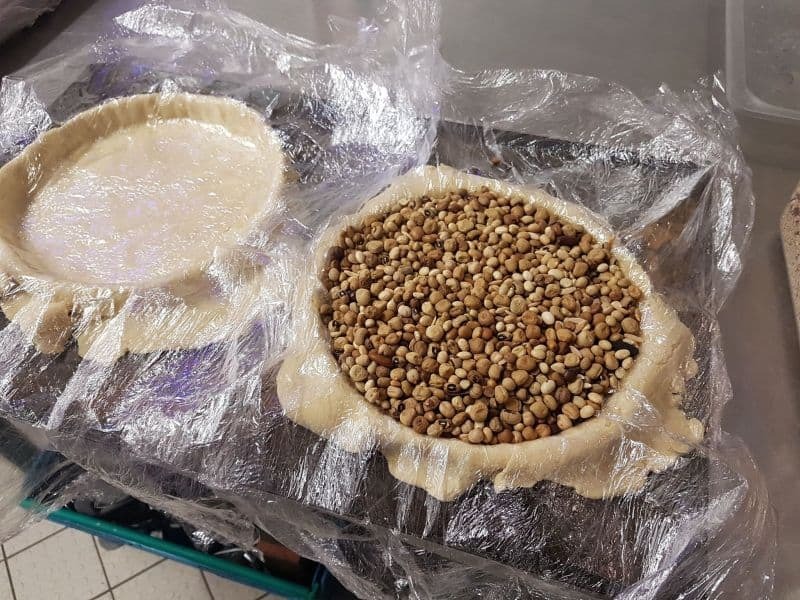 Take out the pastry from oven, take out the beans and prick the pastry bottom. 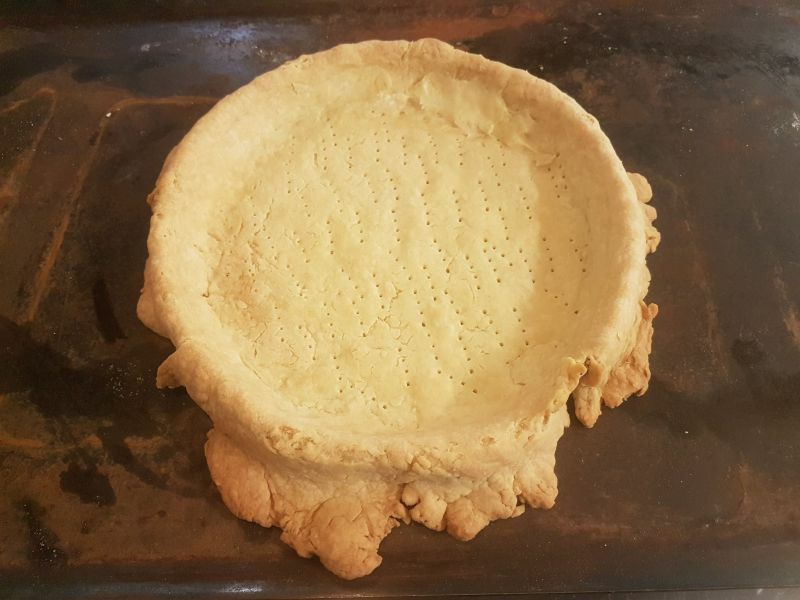 Pastry is done. cut edges. 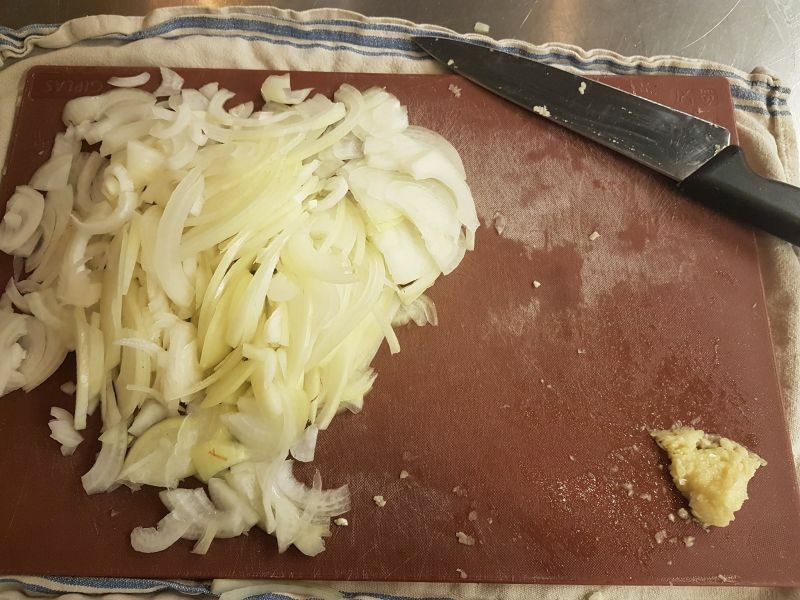 Slice the onions very fine. Heat a pan add 1 tbsp oil and onions, salt pepper 1 pinch. Cook on medium heat for 10 minutes. Add in butter, thyme and garlic paste.Mix and cook on medium heat until golden brown. It should look like this.Now let it cool. Beat the royale ingredients and set a side. 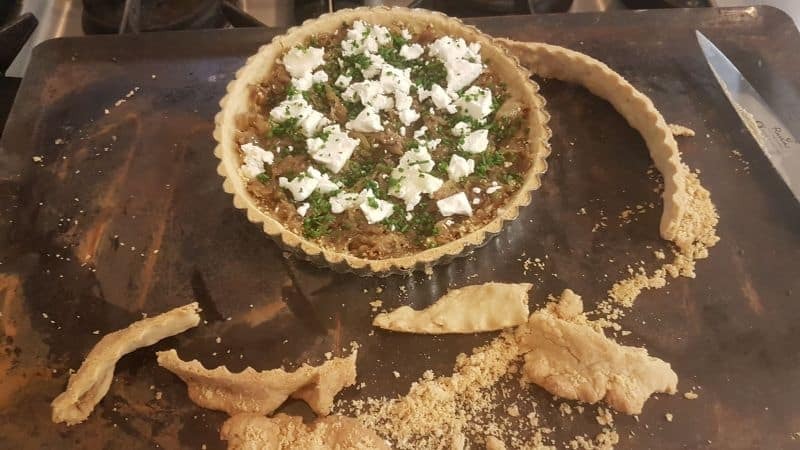 First cut the edges of pastry.Now place the caramelized onions in the tart, keep goat’s cheese on top and sprinkle chives on top. Clean the tray and put it in oven, now pour half royale in it and bake for 10-12 minutes at 175 C or until light gold on top. Quiche is done, let it cool on the wire rack then take it out from tart tin.